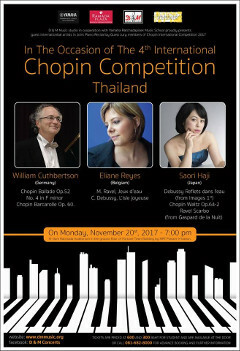 William Cuthbertson served on the jury of the Thailand 4th International Chopin Competition in November 2017, Bangkok. Other jurists include Eliane Reyes from Belgium and Saori Haji from Japan. There was some impressive playing, and specially by the group A winner, Warit Techanont. A contingent from Vietnam was extremely good, pupils of Dao Trong Tuyen and grandpupils of Đang Son Thai, who won the Warsaw Chopin competition in 1980. On Monday November 20th, there was a concert by the members of the jury at the Siam Ratchada Auditorium, Yamaha Ratchadapisek Music School. 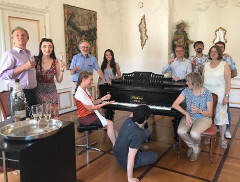 On August 27th 2017, there was a symposium in Waldkirch with pianists who were students of Peter Feuchtwanger and others who were interested in his methods. 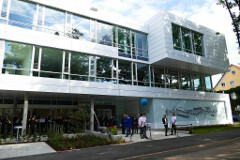 It was organized by William Cuthbertson. At the suggestion of Heinz Vogel, the Catholic vicar of Waldkirch, William Cuthbertson has composed a piece for organ and piano for the concert on 1st April 2017: Fantasy on the Gregorian chorale "Videns dominus...Lazare veni foras". 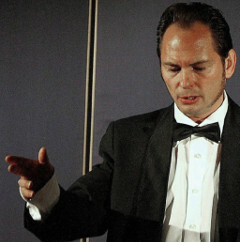 Heinz Vogel will sing the chorale before the piece. 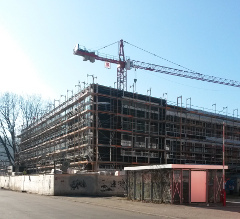 Work in progress on the new building for the Waldkirch Music School, a gift from Sick AG and the Giesela and Erwin Sick Foundation, where the 2017 Piano Master Class will take place in November 2017.